As the battle for who will qualify for next season Champions League heats up, Manchester United will be desperate to qualify to maintain the name of their prestigious club amongst elite. But it is not a fight to be handled with kids glove given that winning every match becomes paramount but their next opponent, Watford, are also a footballing playing side who have qualified for the quarter of the FA by beating Crystal Palace. Wolverhampton are unbeaten in their last 12 games since their 3-0 defeat to Manchester City in January. 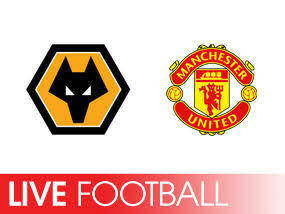 The odds of the Premier League clash pitting Wolverhampton against United keeps changing, as the Wolves defeated United 2-1 to progress to the semi finals of the FA Cup a fortnight ago. Better keep an eye on betting sites like BetEasy to stay updated with the latest odds and predictions for this game. Going by recent performances, United have dropped a tad which have seen them lost two consecutive matches in the space of a week. Something that hasn’t happened since December when Ole Solskjaer took over. The first was against rivals Arsenal and the other in the FA Cup to Wolverhampton – a team they will face again after the one against Watford when the players return from the ongoing international break. However, we expect United to overcome the threat that will be posed by Watford on the assumption that the manager will have had ample time to device a strategy to respond to the lethargy which we have seen in United’s attack and midfield. Watford are not an easy meat to chew so United must be at their best to ensure they claim all three points and thereby boost their chances of qualifying for the champions league next season. The Red Devils are currently fifth on the EPL log, two points adrift of 4th-placed Arsenal who have 60 points to their name.